With CancerIQ's Screening Toolkit and Navigator platform you can identify patients with elevated risk factors as part of routine care. The CancerIQ Screening Toolkit is a short and easy digital questionnaire that immediately flags patients for counseling, testing and MRI eligibility. The CancerIQ Navigator gives you a clean registry of all the patients who have completed the Screening Toolkit, their results and their interest in moving forward. Patients can complete a short digital questionnaire on a tablet in the waiting room or before their appointment. Our patient-friendly design ensures over 95% of patients can complete the Screening Toolkit without staff assistance. 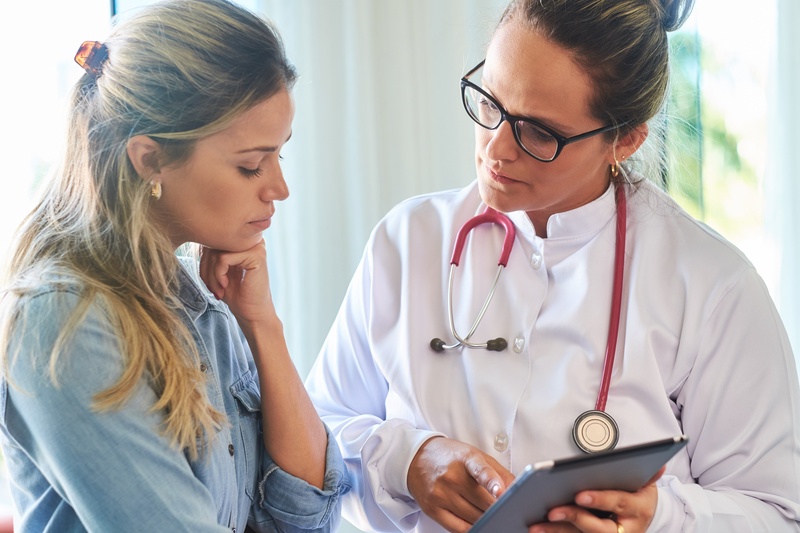 Utilize the latest NCCN and USPSTF guidelines and Tyrer-Cuzick to identify patients eligible for counseling, testing or MRI. 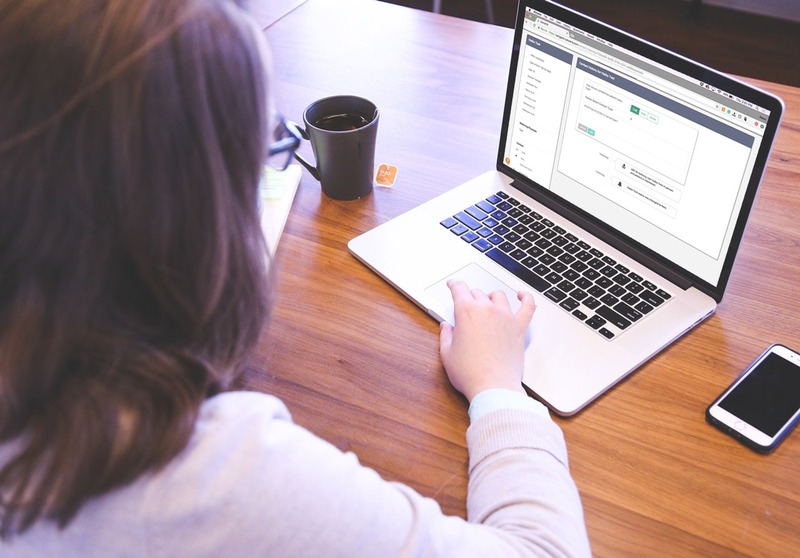 To not disturb workflow, CancerIQ automatically calculates risk results in digital and printed form so you can communicate patient risk in real-time. To improve patient uptake of genetic services, CancerIQ has features to collect patient interest and record appointment availability right at the point of care. Interested patients are automatically sent over to the genetic specialist so they can focus on the patients that are most engaged. Data entered by the patient is immediately available in a clean registry. Staff can easily edit information and update the patient's risk score if appropriate. 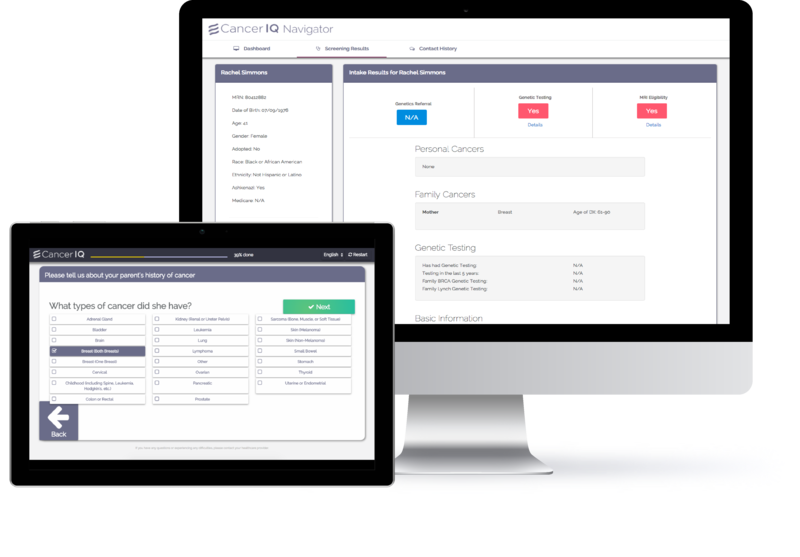 "With the CancerIQ screening toolkit, patients are much more engaged in collecting their family history as opposed to a paper form. What’s also great is that it only takes 5 minutes and doesn’t interrupt our tech workflow. Patients I have seen for years are giving me a more robust family history. I can capture all information I need to assess risk and I always know I'm using the latest national screening guidelines- without having check for the newest version.